One of the big mysteries from Marvel’s 2014 breakout hit, Guardians of the Galaxy, was the question of who Peter Quill’s father is. Wednesday morning, director James Gunn took to Facebook to announce the addition of one of his favorite actors, Kurt Russell, to the cast of Guardians of the Galaxy Vol. 2. Gunn also addressed rumors that Russell would play Quill aka Star-Lord’s father in the film on Twitter. However, Variety reported that Gunn and Marvel studios have confirmed Russell will indeed play the father of the Star-Lord. If you go back to the Variety article, the “UPDATE” has been edited to say Russell has only joined the cast but the headline is still the same. Also joining the cast are Pom Klementieff (Oldboy), Elizabeth Debicki (The Great Gatsby, Everest) and Chris Sullivan (The Knick, The Drop). Gunn has confirmed via Twitter that Klementieff will play Mantis is the film. 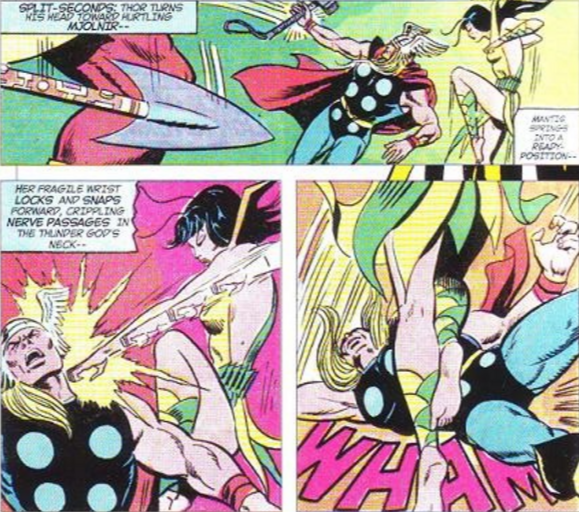 In the comics, Mantis has been a member of The Avengers. Her background is half-Vietnamese, half-German, and apparently Kree as well. She also seems to come with some conflict, so that’s fun. All returning for Guardians Vol. 2 are Chris Pratt as Peter Quill/Star-Lord; Zoe Saldana as Gamora; Dave Bautista as Drax; Vin Diesel as the voice of Groot; Bradley Cooper as the voice of Rocket; Michael Rooker as Yondu; Karen Gillan as Nebula; and Sean Gunn as Kraglin. Guardians Vol. 2 is set hit theaters May 5th, 2017. Coming sooner will be Captain America: Civil War on May 6th, 2016, Doctor Strange on November 4th, 2016. Guardians will then lead into Spider-Man on July 7th, 2017 and Thor: Ragnorak on November 3rd, 2017. For more updates, follow along on Facebook or Twitter.